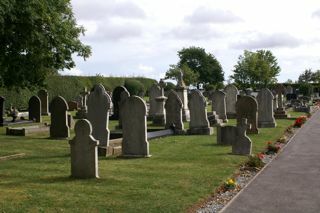 The GPR holds 155 grave and 341 person records for the cemetery. The status of the photographing of the cemetery is only pre 1901. There have been 128 requests for photographs from the cemetery.